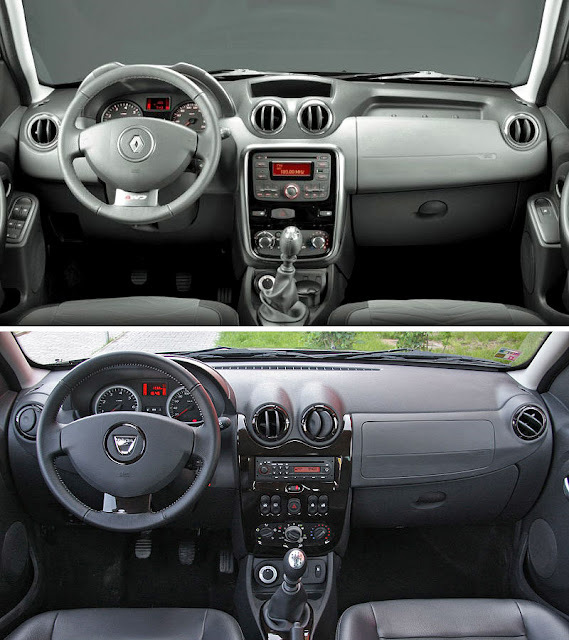 So far the interior of the SUV Dacia Duster was one of the reasons for criticism of the model. Now the company have undertaken to respond to criticism. Although it is a cheaper SUV, the interior of the current model, "cheap" seems to come in more. Duster was available in Europe about a year. Now Renault model launches in South America, but its brand and some change. Mostly this applies to interior and instrument panel. The new dashboard will be used by Dacia for model year 2012 of Duster. Sees a new center console, new audio and new management of ventilation and heating, but they are preserved at the bottom of the center console, gear lever in front, which does not seem very practical. It is good that at least the control buttons of the windows are returned to their traditional place of doors.